Perhaps we didn’t see this coming. Perhaps we should have. In what has to rate among the most explosive state court rulings  in recent years, a judge on Feb. 22 tossed out two hotly contested amendments to the North Carolina constitution, including one that would make it harder for many citizens to vote. As he spiked the requirement that voters show a government-issued photo ID to vote in person, along with another ill-conceived provision tightening the cap on the state income tax, Wake County Superior Court Judge G. Bryan Collins Jr. drove straight to what he described as the amendments’ fatal flaw. That flaw couldn’t be simpler or more stark: The legislature that proposed the amendments and that asked voters to approve them in referendums last fall was so tainted by impermissible racial gerrymandering that it lacked the authority to do what it did. Period. Leaders of the Republican-controlled legislature who have made voter ID a centerpiece of their efforts to hold down pro-Democratic votes, notably from African-Americans, reacted with predictable vehemence to what was only the latest setback they’ve suffered in the courts. Indeed, when the state chapter of the NAACP and the advocacy group Clean Air Carolina challenged the two amendments on grounds that they were the handiwork of an illegally gerrymandered legislature, it was natural to wonder if that argument could cast a cloud over other measures the legislature has enacted. Collins, however, brushed that concern aside. He turned to the language of the state constitution itself to invoke a higher standard of legitimacy required for legislators seeking to amend the constitution as opposed to simply passing a law. Under the constitution, the judge observed, the people themselves have the “inherent, sole, and exclusive right” to make constitutional changes. They do that via their elected representatives, who submit proposed changes for the voters’ approval. But if those representatives hold office due to an illegal scheme giving them partisan advantage, Collins concluded, their authority to act in the public’s behalf in amending the constitution is forfeited. The judge noted that on June 2, 2017, “it was adjudged and declared by the United States Supreme Court that the General Assembly was an illegally gerrymandered body” that had exploited what a lower court called a “widespread, serious, and longstanding” constitutional violation by which legislative district boundaries were skewed to black voters’ disadvantage. The high court’s finding meant that the legislature “lost its claim to popular sovereignty,” Collins declared. 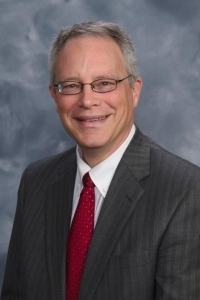 What sealed the deal for him, so to speak, was that legislators chosen from those same illegally drawn districts were the ones who put the voter ID and tax cap amendments on last fall’s ballot. Yes, federal courts compelled the legislature to redraw more than two-thirds of the 170 state Senate and House districts. But the realigned district maps were used for the first time in the elections of 2018. Consequently, many of the incumbents who pushed the proposed amendments were elected from districts that had failed the legal smell test. As Collins put it, the extensive gerrymandering “tainted the three-fifths majorities required by the state Constitution before an amendment proposal can be submitted to the people for a vote, breaking the requisite chain of popular sovereignty between North Carolina citizens and their representatives.” His remedy: Void the amendments. Which is what he did. As to Berger’s point about “chaos and confusion” arising if the amendments were nullified, the judge said in effect there’s nothing to be confused about. The NAACP and the clean air group challenged those two amendments, not other laws. Requirements for amending the constitution are more stringent than for enacting ordinary bills. Tossing the two amendments because those requirements weren’t met leaves other legislation intact, and reasonably so. To unwind every legislative action taken while the illegal gerrymandering was in effect would indisputably sow chaos – but it’s not necessary to cure the problem with the amendments. Of course, the amendments have had other problems in terms of what they would do. The Republican push to enact a strict voter ID rule has stirred controversy for years because of its likely impact on eligible voters who don’t have a driver’s license or other government-issued photo ID and who may have trouble securing one. That segment of the electorate is likely to be less affluent, older or younger than average, and it’s likely to have more members of racial minorities than does the overall voting population. Moreover, the anti-fraud rationale for photo-based voter ID is shaky at best. And there’s some irony in play: Legislators serious about countering election fraud could instead move to prevent another absentee ballot scandal of the sort that infected last fall’s contest in the 9th Congressional District, where Republican Mark Harris’s apparent win now has gone up in smoke and a do-over has been ordered. It’s no wonder that voting rights and social justice advocates, including the N.C. Council of Churches, have opposed voter ID measures that could work against the interests of people for whom voting may be their most effective way to have a role in shaping our politics. The NAACP, both through political action and in the courts, has been in the forefront of that push to block what it fears would become a tool of discrimination. The group’s president, the Rev. 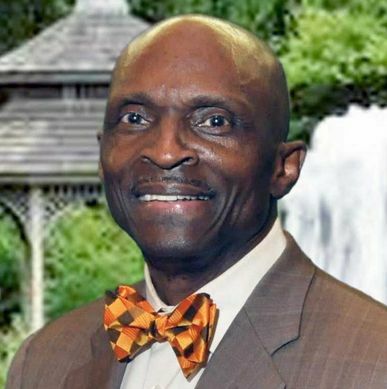 T. Anthony Spearman – who also happens to be the Council of Churches’ immediate past president – saluted Judge Collins’ ruling accordingly, as reported by The News & Observer of Raleigh. “The prior General Assembly’s attempt to use its ill-gotten power to enshrine a racist photo voter ID requirement in the state constitution was particularly egregious, and we applaud the court for invalidating these attempts at unconstitutional overreach,” Spearman said. The voter ID and income tax cap amendments were first put forward by the legislature last June, along with four others. Two of those amendments were reworked after they drew court challenges from Democratic Gov. Roy Cooper. Those two – dealing with the governor’s powers of appointment and the filling of judicial vacancies – were rejected by the voters on Nov. 6. The amendments on voter ID and the income tax were among the quartet that survived their referendums – although it wasn’t until the legislature’s post-election lame-duck session that a law setting forth specific ID rules was enacted. In other words, voters had been asked to approve the requirement in principle, but without being told how it would be enforced. The law turned out to be somewhat less onerous than a previous version, but critics – including Cooper, whose veto was overridden – hardly were satisfied. Judge Collins’ ruling is silent as to the law’s status, so there are likely to be arguments over whether voiding of the amendment also should void the ensuing law or whether the law can stand on its own, with the voter ID requirement remaining in effect. One also could say it’s the very definition of a judge doing his duty to uphold the constitution. And if the legislature wasn’t entitled to put the amendments on the ballot in the first place, as Collins concluded, then the fact that they later were approved in referendums can be seen as irrelevant. Disputes over the boundaries of voting districts, which must be realigned after each national census to track population shifts, have been a staple of North Carolina political life for decades. Both major parties have employed the dark arts of gerrymandering to boost the chances of favored candidates and to advance their overall agendas. Certainly the redistricting process carried out by Republicans after the census of 2010 and the elections that same year – when the GOP took control of both legislative chambers – has kept many lawyers and judges busy. Since then, it’s been the Republicans who have found themselves mostly on the wrong side of a series of court rulings because of their gerrymandering exploits. And more shoes could be poised to drop, with the focus shifting from gerrymanders that devalue the votes of African-Americans to ones that devalue the votes of Democrats because…well, just because they aren’t Republicans. With another census approaching, and with Democrats making inroads against the legislature’s Republican majorities, advocates of redistricting reform sense a window of opportunity. House Bill 140 , recently introduced with bipartisan sponsorship, seeks a constitutional amendment that would give the responsibility for drawing district maps to legislative staff, subject to approval by elected lawmakers. The maps would have to meet various standards of fairness that would keep one party from skewing districts to maintain power. That sounds like an amendment public-spirited North Carolinians of all political stripes should be able to support. 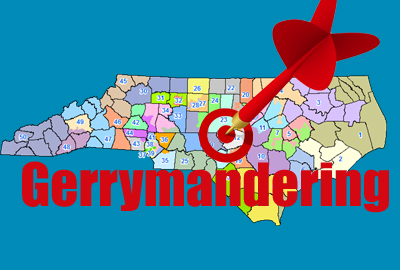 If the precedent set by Judge Collins’ ruling holds up, it will take a legislature that wasn’t elected from districts gerrymandered six ways from Sunday to move the measure forward. On that score, the guidance has to be: Stay tuned.